What happens at the Biometrics Appointment? The biometrics appointment sounds technical and is often intimidating for people, but it’s nothing to worry about! In order to confirm your unique identity, the USCIS collects data for many reasons, one is to ensure that whenever YOU sign a document in the future, it really is you! It also helps deter people with criminal records from applying for USCIS benefits for which they are not eligible. There are currently 16 countries worldwide using these measures for immigrants who are applying for visas or green cards, as well as for their own citizens. Here are some of the most common questions about the appointment, as well as some common problems and how to prepare for them. What exactly does “biometrics” mean? Biometrics is the process of capturing your unique features by putting your fingerprints, photograph, and signature on file so that the USCIS can confirm your identity in the future. Who has to attend the biometrics appointment? The USCIS can require biometrics from any applicant, sponsor, or beneficiary living in the US for any immigration or naturalization purposes. After filing your application, petition, or request you will receive a notice telling you where and when you need to go for the appointment. If you are under the age of 14, you may choose to sign if you are able to, or a parent or legal guardian may sign on your behalf. How should I prepare for the biometrics appointment? It is a good idea to make copies of your application, petition, or request. You may bring a copy (as the USCIS will not provide you with one), but you should also do this to keep for your records and to review your forms before the appointment. Your personal appointment notice will include specific instructions on what you need to bring. Everyone MUST bring the ASC appointment notice (Form I-797C) and a valid photo ID (like a green card, passport, or driver’s license). For most people, the biometrics appointment is nothing to be worried about! If you think you have a criminal background, you may want to contact a lawyer for further advice. What should I expect at the biometrics appointment? If you cannot reaffirm that this is true, your appointment will be rescheduled until you can refile your paperwork. Given that everything you submitted was true, the USCIS will capture your fingerprints (either 2 or all 10, depending on the type of ASC notice you received), your photograph, and your digital signature. What if I am applying from outside the United States? The process is a bit different in this case. When you file your Application for Naturalization (Form N-400) you have to include your completed fingerprint cards (Form FD-258) and two passport style pictures. For specific instructions and details regarding those, look here and here, respectively. If you are active duty military or are applying under sections 328 or 329 of the Immigration and Nationality Act and you live outside the U.S., look here for more information. What if I require assistance? Many people require assistance for the appointment. Here are some of the common issues people may have, and the solutions provides by the USCIS to make this process as easy as possible. You may bring someone with you who can translate for you. For the “Acknowledgment of Appointment” statement, you should go here to select the language you can read and review the translation before your appointment. I have a disability that prevents me from signing my name. They will accept any mark (such as an “X”) as a signature. If you cannot provide this, there are other procedures in place to capture your biometrics. I have a disability that will require further assistance. You may bring a family member, attorney, or accredited representative to assist you. I have a disability that will require further accommodation. As soon as you arrive you should speak to the ASC immigration services officer for help. There are tons of accommodation services available, but you will likely need to request them in person. You can also try contacting your local Application Support Center before the appointment. Their contact information should be on your appointment notice. Why might I have additional biometrics appointments? Because biometrics data is only considered valid for 15 months, you may be required to attend more than one if your application is pending for longer than 15 months. You will also have to attend a new appointment should you apply for a different USCIS benefit. What if I am uncomfortable with the government having my fingerprints and other personal data? Unfortunately, if you refuse to provide anything that is asked of you during the biometrics appointment, your application will more than likely be refused. 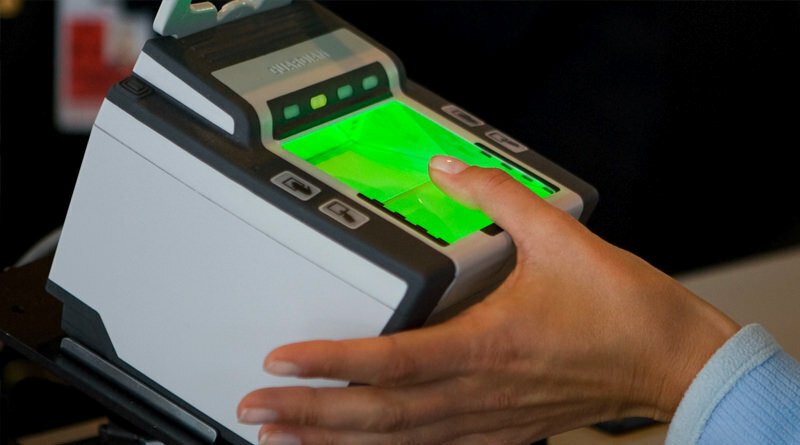 Biometrics are being used increasingly around the world and seem only to be gaining popularity by international law enforcement and immigration services, so you will likely be asked to provide similar levels of data to obtain a visa or green card in most countries. Elise studies at the University of St Andrews in Scotland. Before that she lived in Peru and worked as an English teacher. She has gone through the process of obtaining a work visa in Peru and a student visa in Scotland. She has traveled to 15+ countries and plans to continue traveling and working all over the world.